In the 'Suspension - Terminology' section, I covered what KPI is, as it is an ancient but still oft-used term despite being pretty redundant. Not that it isn't attendant in current cars - it has to be. It's just that the mass car manufacturers have settled the angle at which it is set down to a fairly universally used envelope, and there's nothing the individual can do to alter it without entirely re-fabricating the hubs of drastic surgery on the existing ones. So is, to all intents and purposes, fixed. Even the most technically advanced race teams can do little more than keep a wary eye on what it is doing when playing with suspension set-up. It is the direct effect KPI has when inter-acting with the wheel/tyre choice used that is of far more importance to us, and something we have control over. Indeed, in the KPI section, far more space was devoted to this feature than KPI - that feature being 'KPO'. From the re-cap on KPI, the inference is to achieve minimal - preferably zero - KPO. Doing so will make the steering light to use - as in minimum driver effort to direct the car - and minimise, if not eliminate - any kickback through the steering caused by bumps encountered by the wheels. A further problem caused by our Mini is that concerning bump steer. Although bump steer is controlled/governed by the suspension and steering geometry, the KPO has a direct effect on the severity of it felt through the steering wheel. The greater the KPO, the more leverage the wheels have to exert on the suspension, thus magnifying the kickback it can exert through the steering wheel. What we're discussing on a whole here is how the car 'feels' through the steering wheel - whether it is a joy to drive with minimum effort, or is a white-knuckle ride requiring the upper-body strength of Arnold Schwarzenegger to deal with; particularly when an effective LSD is added into the equation. One further negative effect caused by the extra leverage created by rims with a greater outset is that of weakening the damper. And this is ignoring the possible wheel weight increase when going to a wider/bigger rim. Not at all helped by the pretty poor standard damper mounting points causing a shortfall in damper performance. Fitment of wheels with a greater offset should be accompanied at the very least by re-positioned upper damper mounts as sold by Mini Spares/Mania to help maintain the status quo. Invariably, when wider wheels than standard are fitted to our trusty Mini they generally have the extra width - or a majority of it - arranged (offset) towards the outside of the rim, furthest away from the vehicle centerline. This can be for various reasons but seemingly mainly for two. The first is for suspension/bodywork clearance the second, and unfortunately most prominent, to appease the general public - that 'w-i-d-e' look. Examining the diagram above clearly shows what we are talking about. As the wheel gets wider with most of the width applied to the outside, the bigger the KPO becomes. Further consideration will also show that tyre profile has an effect on KPO - the taller the wheel/tyre combination used (it's radius) the smaller the KPO becomes. The shorter the wheel/tyre becomes the opposite occurs. Having said all that, it must be understood that minimising - to zero if possible - KPO isn't always going to give a performance advantage. Not unless this is achieved by lengthening the suspension arms - again, not something easily achieved by the general Mini owner. On a race car where maximising corner speed through finely tuned car balance is the main aim - then perfect KPO tends to take a back seat as wheels with a greater out-set (majority of extra rim width added to outside of wheel) can be used to increase track width. This, in turn, can be use to fine-tune weight transfer, but that's a whole different ballgame and a subject for another day! The resultant kickback through the steering and heavier steering are lived with in the name of quicker lap times, but are generally less severe as race tracks tend to be a good deal less bumpy than the street! So to maximise the performance potential of your Mini by fitting wider wheels/tyres but without turning it into a potential 'whirling dirvish' as far as street use is concerned - go for a wheel rim that has had as much of it's extra width applied to the inside of the rim as possible (or the larger proportion of it) without causing clearance problems. Or at least avoid those that have had ALL the extra width stuck on the outside, and especially those that have a more in-set centre too; the old Weller 6x10-inch being the absolute pinnacle demonstration of this. May look cool - but makes the car a nightmare to drive. This also partially explains why the fitting of most after-market 13-inch wheels causes such a dramatic change - most are manufactured with the extra width offset outwards to avoid component/bodywork misdemeanors. And all this is dramatically accentuated by the preponderance of folk to stick a tiny steering wheel on just for good measure! Wheel 'offset' is usually quoted/discussed as a comparison between the wheel rim placement and the car's centerline. Offset out-wards, or 'outset ', describes movement of the wheel width towards the outside of the car, i.e. away from the car's centerline. 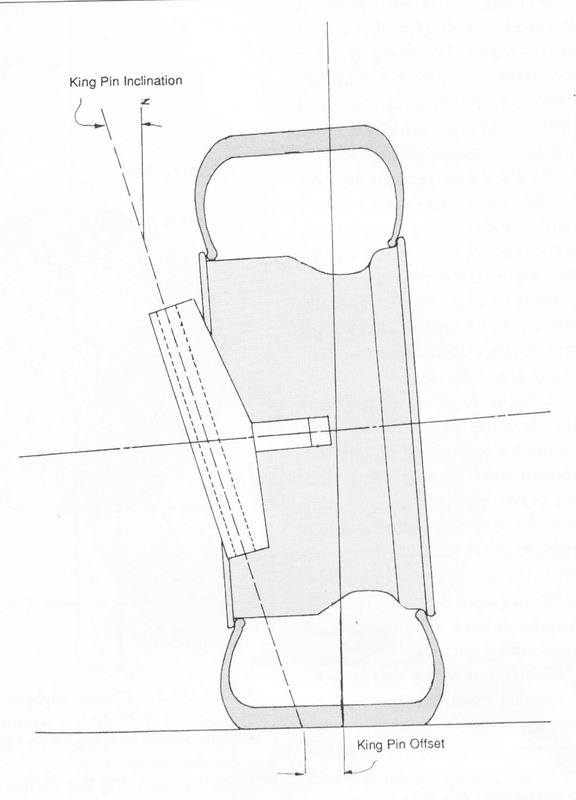 Offset in-wards, or 'inset', therefore the opposite - movement of wheel width towards the inside of the car, i.e. towards the car's centerline.